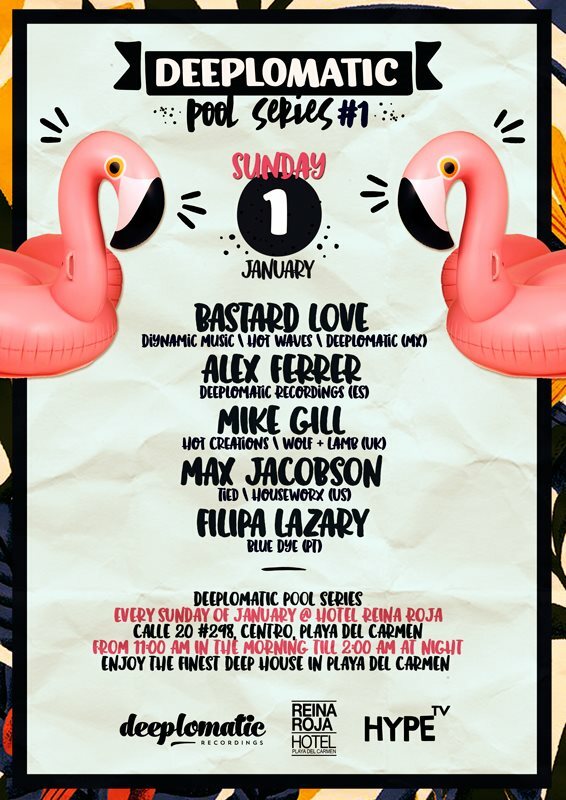 Deeplomatic Recordings proudly presents the 2017 Pool Series (Mexico Edition) with an exclusive Rooftop Party, every Sunday of January (1,8,15,22) @ Reina Roja Hotel with the best Deep House (Void Sound System! ), gastronomic delicatessens and of course the most iconic swimming pool in Playa del Carmen! Freshness and energic dances until late hours are ensured.